The dining table is the main character in a dining room. Having said so, choosing your table must be done with utmost care. Versatility and functionality are the important aspects that you need to look for in a dining table. It should be something that can be used in any occasions. It should also be suitable for other activities other than eating such as gaming and working. Depending on your taste and theme of your room, it can be conventional, modern, contemporary or transitional. If you are to buy your dining table, it is essential to measure your dining room, as your table will depend on its area as well as its shape. Figure out where you want to position your table. If there is a door going to your dining area, get its dimension, too, so you can be assured that the table can be brought inside without any hassles. Always remember that you need to allocate some space between the dining wall and the table. This should be at least 30 – 36 inches so you have some space to move the chair back. Do not get a big dining table if your area is small. It would be good to have it but such space constraints are very inconvenient and you will end up hurting each other. The shape of your dining table, as mentioned, will depend on the shape of your dining area. Dining tables are available in varied shapes. Rectangle-shaped tables are suitable for large dining rooms and families. It is also suitable for a small dining area. These tables are ideal for big gatherings and can be used as a serving table for parties. Square-shaped tables are for small families but are not recommended for a small space. This table promotes a more friendly and personal atmosphere. Round-shaped tables are also fitting for big areas. It encourages more interaction as you get to see each other’s faces. To get a bigger seating capacity, opt to get a round-shaped table with one base instead of the 4-legged ones. Oval-shaped tables are ideal for big spaces. Like the rectangular tables, it can seat more people. You can also find this shape of table with a single base for more seating occupancy. 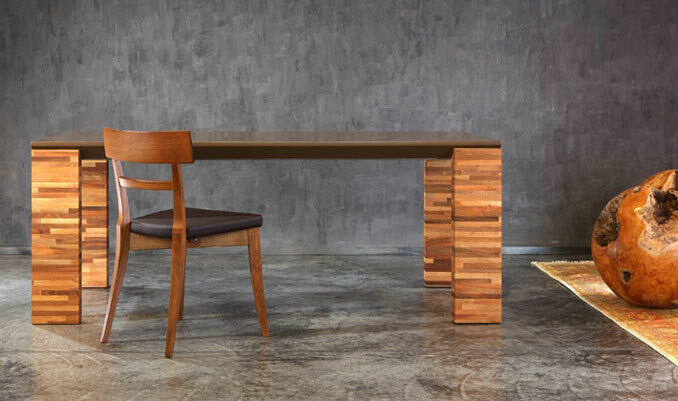 The materials used for dining tables vary from real wood, lacquered, glass, acrylic or glass. You can have unfinished or finished wood. Finished wood have a shiny and silky touch. Dining tables made of real wood suits houses that have a country or rustic style. Glass table tops offer you two options – clear or tinted glass. Choose a dining table that is suitable for your family’s needs as well as one that matches your dining room’s theme. It does not matter if you have some traditional furniture in your dining area, as you can mix them with modern furniture anyway. You can also opt to get the more modern dining tables that feature extended leaves, which is available in all shapes of dining tables. This feature allows you extend the leaves when the need arises; thus, it saves you from getting another table to accommodate unexpected guests. Check the latest designs and styles of dining rooms. Online furniture stores offer you a myriad of selections.